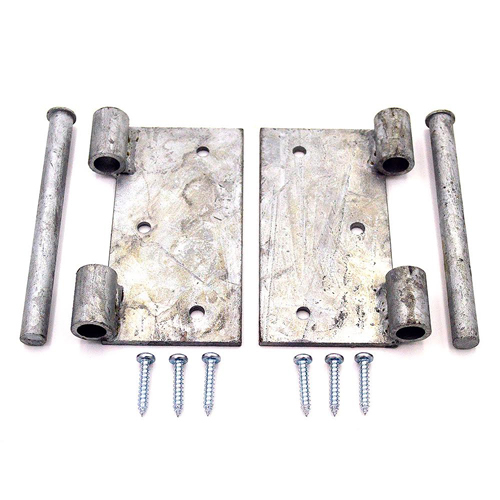 This hinge kit attaches our half or full swing gates to wooden or metal support posts. It works with both the grilled swing gate and the mesh swing gate. The drop-in pins allow easy installation and removal of the gate. We offer two different styles of hinges for our swing gates. The first style connects our metal swing gates to wooden posts and the other style connects them to metal support posts. Please select the right type of support post you have, so we can send you the right hardware. Shipping: This item ships UPS or USPS.